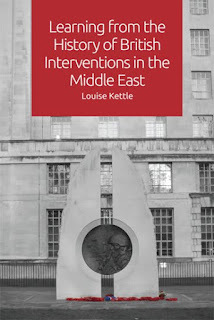 The Page 99 Test: Louise Kettle's "Learning from the History of British Interventions in the Middle East"
Louise Kettle's "Learning from the History of British Interventions in the Middle East"
Louise Kettle is an Assistant Professor of Politics and International Relations at the University of Nottingham. This book aims to question whether the British government learns, or has learned in the past, from its vast experience in the Middle East. It does so by looking at the roles of the Foreign and Commonwealth Office, Ministry of Defence and intelligence agencies in five important interventions in the region; Suez 1956, Jordan 1958, Kuwait 1961, the Gulf 1990-1991 and Iraq 2003-2009. On page 99 I am in the middle of examining the case study of Kuwait in the summer of 1961 – where the British were asked by the Ruler to intervene against the threat of annexation by its neighbouring Iraq. At the beginning of the page I am summarising the tensions between the military Commanders – who required a minimum of four days to reach a state of readiness to launch an operation – and the intelligence community, who could not keep pace with the changing nature of events on the ground. The second half of page 99 explains that, despite limited assets in Iraq, the intelligence community had been predicting Iraqi action against Kuwait for a number of years. A Joint Intelligence Committee assessment as early as January 1957 had described Iraq “as having for some time been casting covetous eyes on Kuwait”. This had allowed the military – in contrast to previous operations – to develop contingency plans for such a threat. To keep these contingency plans current the military frequently requested re-evaluation of assessments. This forced the intelligence agencies to reflect upon their intelligence gathering and assessment capabilities more than they had in the past. 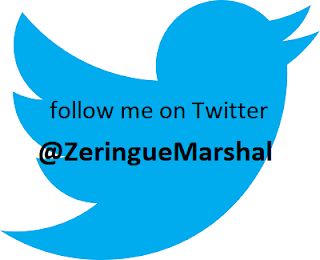 Consequently, this page offers a small indication as to how learning from the past began to develop. Learn more about Learning from the History of British Interventions in the Middle East at the publisher's website.